for a bracing thrill) are available for a cleansing sweat, perhaps necessary after partying on Helsinki’s islands and peninsulas during one of its yearly festivals like Vappu, a carnival-esque bacchanale. English and Swedish are widely spoken, and the architecture calls to mind a mini St. Petersburg (a role Helsinki has played in more than one film). The Ateneum art museum has one of the most significant collections in Finland, or check out the Sibelius Monument, a tribute to the native composer, which resembles giant organ pipes fused together. Look for the Market Halls open year round to sample Finnish treats including beaver sausage and smoked fish. 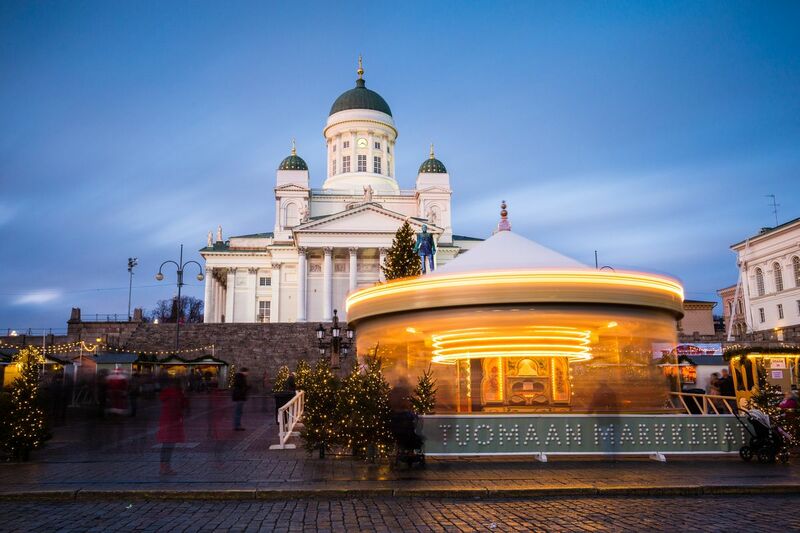 A European capital which is relatively unassuming but fascinating in its own right, Helsinki has a personality all its own. cold, which averages 25-35F (-4-2C) from November through March. The shoulder seasons in April and October have lower rates, but temperatures are still chilly in the 40s (7-10C), so it’s best to focus your attention on indoor attractions (hello, saunas!). May through September is perfect picnic weather, but expect to pay high-season rates, especially around big festivals like the summer solstice.